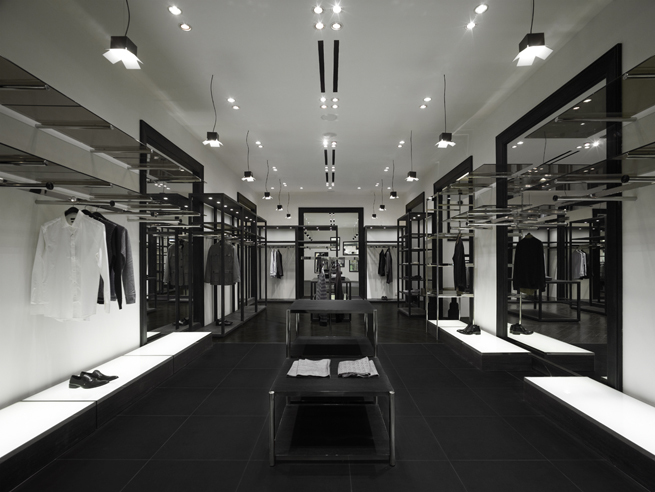 The interior design for an apparel store in Shanghai. 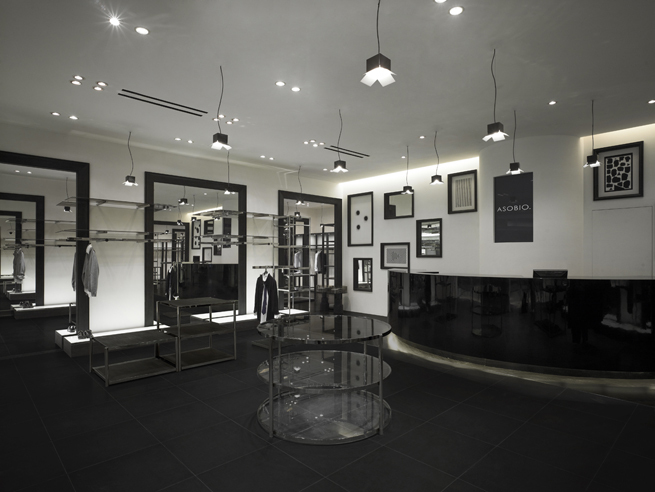 ASOBIO is an Italy based brand, which has just opened its first store, its flagship shop, in Shanghai, but the company plans to gradually increase the number of stores it operates, so their request was for a unified design format that would be easy to implement as the company expands. But ASOBIO also wanted a design that would allow each store to express its own character. Our two-part solution combines a common “brand concept” with a “theme” that’s specific to each store. 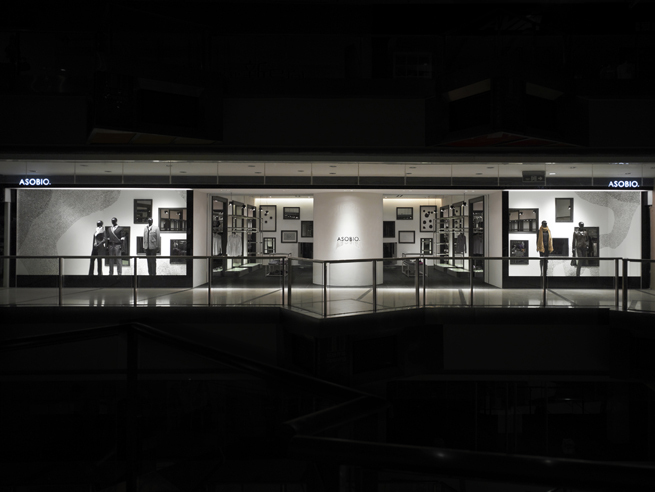 The brand concept is “a photo studio”. We wanted to present the store’s clothing as the “subjects” of a photo shoot, so we used the equipment used on a film set or a photo shoot as a motif. “Lightboxes” for checking film turned into shelving, and the hanger racks have legs that look like camera tripods. The pendant lights recall photo studio spotlights, the baskets have legs like telephoto lenses and the shop windows look like all-white backdrops. 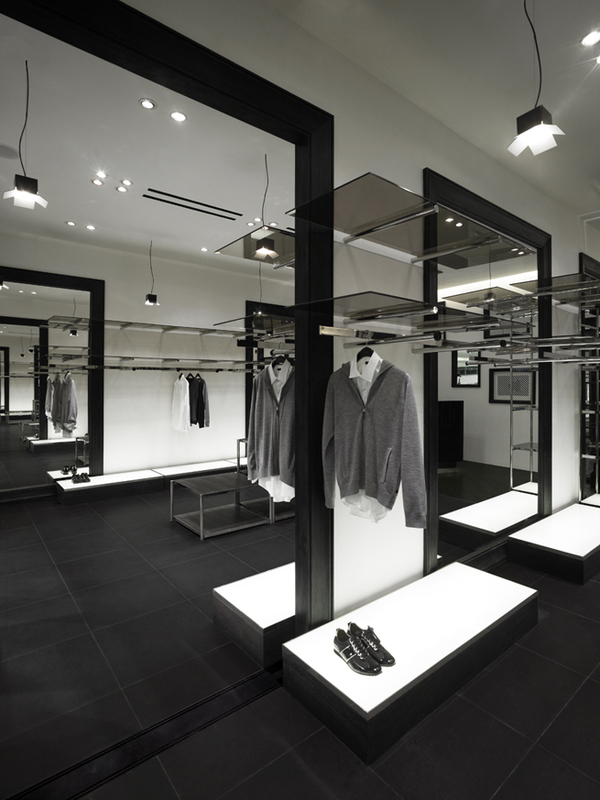 The dressing rooms are lit with red lights for an atmosphere like a darkroom, but light up when a customer enters. 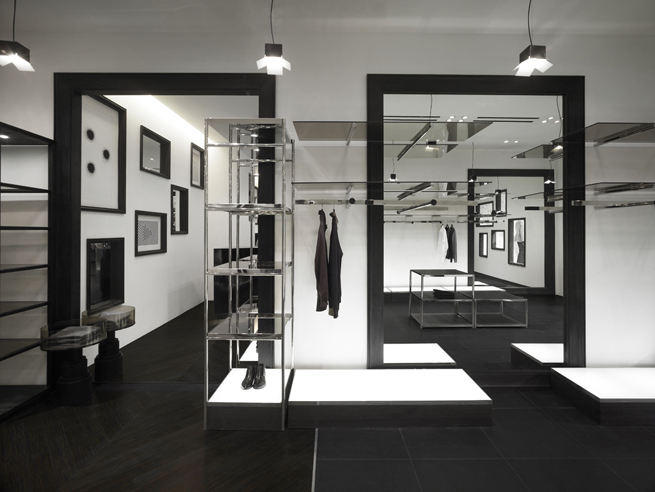 The theme of the Shanghai store is “reflecting the self”, or “mirrors”. We placed two types of mirrors on the walls: “true mirrors” that show the viewer’s reflection, and “false mirrors” through which people can actually pass. This allowed us to use walls to separate categories like menswear, womenswear, casualwear, formalwear and accessories without making the space feel small. 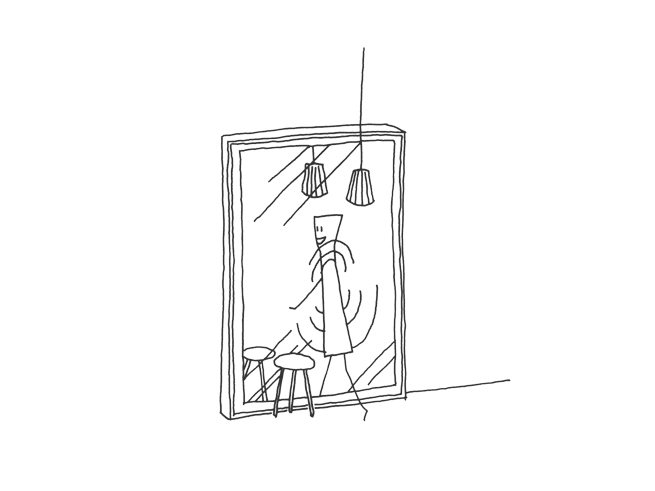 In addition to opening up the space visually and creating connections between sections, the two types of mirrors allow shoppers to feel as though they’re wandered into another “mirror-world” shop that’s hidden behind the walls.